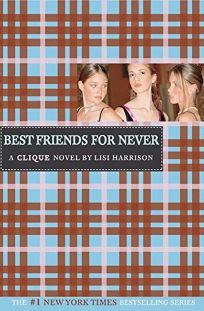 The Clique goes on, in Lisi Harrison's second series installment, Best Friends for Never. Massie Block remains front and center on the popularity scene and Claire Lyons? Still on the outs. PW said of the launch title, ""Middle schoolers who have participated in the popularity game' may be drawn to this series opener, which takes cliquish, snobbish behavior to Hollywood extremes."" .